Diffusing essential oils in your home is a must if you are keen to enjoy their beautiful natural scents and beneficial therapeutic properties. 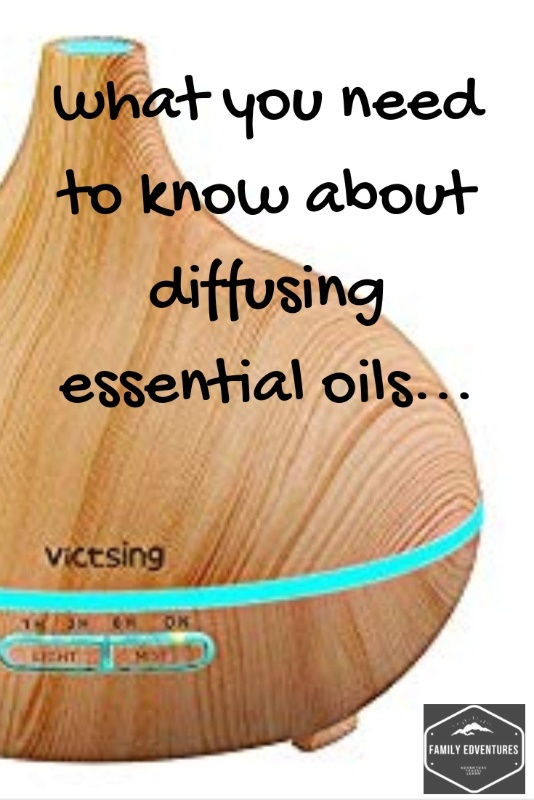 How does diffusing essential oils work? Essential oil diffusers or aromatherapy diffusers release essential oils into the air where the scent enters the nose. It travels down the cranial nerve through the olfactory bulb which helps the brain to process the scent. This is part of our limbic system which is often referred to as the “emotional brain” because of the part it plays in controlling our emotions. It is regulates some of our bodies most important functions like breathing and heart rate. If you diffuse a therapeutically calming essential oil it will trigger a neurochemical response telling your body to relax. 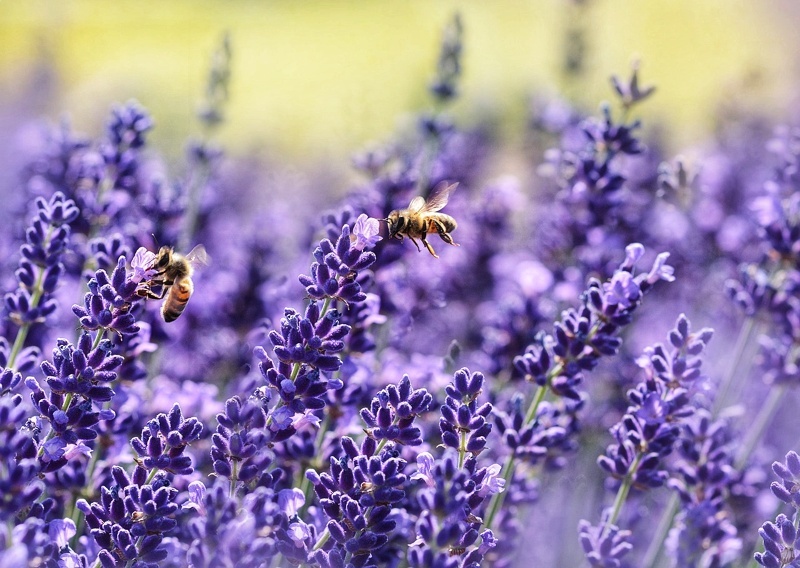 Lavender is a great oil for relaxation. Diffusing essential oils can also establish emotional responses where your brain forms an association with a particular scent. So for example, if you diffuse lavender oil as part of your child’s relaxing bedtime routine then each time he or she smells lavender, those memories will return and they’ll feel more relaxed as a result. Methods of diffusing essential oils. There are a few different types of essential oil diffusers that you can choose from. 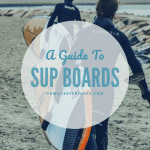 They each have their own benefits so it’s important to consider which will work best for you. This post may contain affilate links. Ultrasonic diffusers are my personal favourite method of diffusing essential oils. This type of diffuser has a water chamber that you fill with water and add a few drops of oil. It creates high-frequency vibrations in the water which disperses the oils in a fine mist. They are great for using around children as the oils are effectively diluted before being distributed into the room. They’re a good option if you want to add a little moisture to the air. Handy if you have congestion or if you live in a house with air conditioning or central heating. They’re reasonably priced and many models include pretty LED lights and self timers that will automatically turn the unit off after a set period. We set our LED light to red and use it as a night-light as it doesn’t hinder sleep like white light would. This article includes more information about specific models that we’d recommend for their great features. These diffusers are a little more expensive but are also thought to be the most effective method of preserving the therapeutic qualities of essential oils. They work by compressing air to atomize the essential oils into airnorne molecules. In my opinion, the best nebulizer diffusers are made with hand blown glass and solid wood and have no plastic components. These stunning diffusers don’t require water so the oils that they diffuse are more concentrated. The essential oils are transformed into an almost gas like state before being released as tiny particles into the air. For this reason nebulizers will diffuse for a few minutes and shut down for a few minutes. This basic option is fine if you’re diffusing essential oils in a small space like on your desk at work. They’re also good if you want to travel with a diffuser. You literally add some drops of your chosen oil to a pad and the fan then disperses the oils around the room. Personally I wouldn’t advise using this type of diffuser as it uses heat to force evaporation of the oil. Heat from candle diffusers, for example, will alter the chemical composition of the oil. This will mean that it may not retain its therapeutic properties..
An evaporation diffuser is the most affordable and simplest way of diffusing essential oils. You don’t actually need to buy anything to diffuse in this way. In its simplest form it means adding a few drops to a hankerchief. Literally, allowing the oils to be exposed to air where they will evaporate naturally. This is also how essential oil necklaces work as you drop the oil onto an absorbant material and allow it to diffuse. Essential oils may be natural but they are potent and toxic at certain levels. 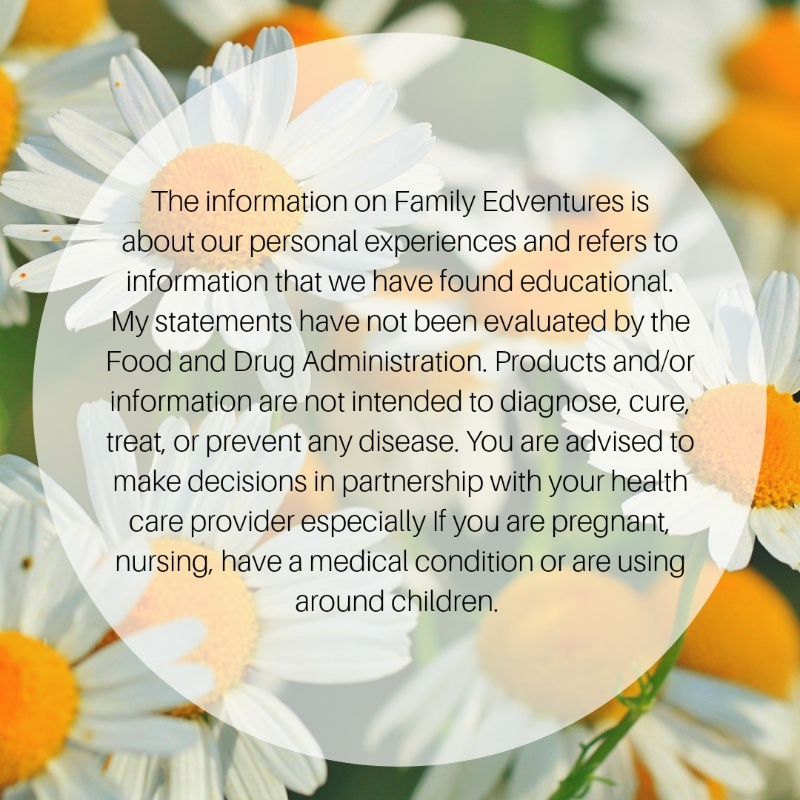 If you are diffusing essential oils around children or pets then research which oils are safe. We’ve written about our favourites here. You’ll want some ventialtion in the room so that fresh air can get in and circulate. Don’t stand over your diffuser as it diffuseres and keep it out of reach of children. You don’t want the essential oil vapours directly in your face and eyes. Remember, that you don’t need to diffuse all day. Turn your machine on and off or use a self-timer. We have young children so diffuse a few drops of lavender for a maximum of one hour before bed. If they have bad congestion then we would diffuse a little Eucalyptus for an hour every few hours. We have a full guide to diffusing essential oils around infants that you can view here. When we mix oils, it’s called a blend. Because we all react differently, it’s best to try out individual oils before trying a blend. 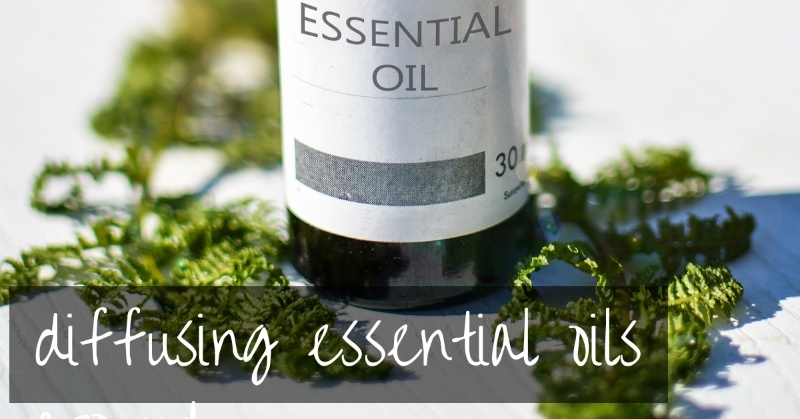 It’s much easier to identify particularly effective oils or ones that we may be particularly sensitive to. Which oils should you diffuse? It’s really important to choose good quality 100% pure essential oils. You can choose your essential oils by scent or by therapeutic property. You don’t need a huge collection of oils to get started. One is actaully enough! If I had to choose only one essential oil then it would be Lavender as it just so versatile and effective. It’s also mild enough to diffuse around children. If you’re using oils around infants then please choose oils that are safe to use around them. Click on each name to view details. Feeling anxious valerism , lavender, jasmine, bergamot, rose, sweet basil, roman chamomile. Need an energy boost lemon, orange, peppermint, tea tree, rosemary, sage, and cinnamon. Have congestion eucalyptus, peppermint, lemon, tea tree. Pain relief peppermint, marjoram, rosemary, lavender, chamomile, eucalyptus. We hope that you enjoy diffusing essential oils as much as we do!